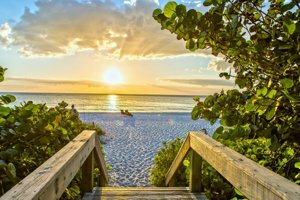 Southwest FL offers a myriad of wonderful properties in several cities with gorgeous sunny weather, picturesque white-sand beaches, and friendly communities. 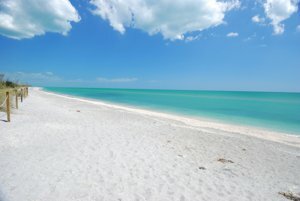 Southwest FL houses & condos are found in Collier County and Lee County. Residents are made up of everyone from families, working professionals, college students, and retirees. In addition to the stunning beaches, there are plenty of great options for recreation, shopping, dining, and entertainment. The following cities are included in our Southwest FL house and condo home search: Naples, Bonita Springs, Estero, Miromar Lakes, Ft Myers, Cape Coral, Lehigh Acres, and Marco Island. Real estate in Southwest FL consists of a mix of single-family homes, high rise condominiums, carriage homes, and town homes. 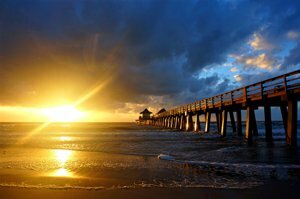 Whether you are looking for a permanent residence or a seasonal getaway from harsh northern winters, there is a great selection of homes to choose from in Southwest FL. A variety of prices means you can pick the property that suits your budget, and your needs. You will find waterfront homes, high-rise condo complexes, luxury estates, and gated communities with great amenities included in your bundled quarterly homeowner association fee. Recreation in Southwest FL takes advantage of the area’s natural resources. The cities run a variety of parks, beaches, and waterways where residents can find space to stroll on the white sand and take in the surrounding beauty. 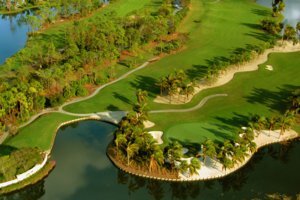 You can also find fishing piers, boating areas, snorkeling spots, and a number of golf courses. 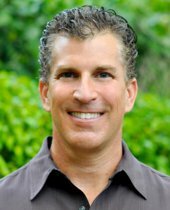 As mentioned above, gated communities in Southwest FL also feature their own community recreation centers, with tennis courts, top-notch fitness centers, clubhouses, and golf courses. Other nearby outings range from zoos and protected natural areas like the Everglades to museums and performing arts venues. MLB spring training is also a tradition. Southwest FL has abundant shopping and dining never more than a short drive away. Find the latest fashions and national retailers at high-end malls. Downtown areas feature local boutiques, bistros, art galleries, and eateries. Restaurants in the area serve cuisines from around the world, and of course, there is plenty of fresh seafood as well. No matter your taste you will always find a wonderful place to dine. Transportation in and around Southwest FL is easy thanks to several major highways that run through the area, including Interstate 75 and U.S. 41. Southwest FL International Airport (RSW) in Fort Myers simplifies travel for work or pleasure. Residents of Southwest FL are served by Lee County School District and Collier County Public Schools. Students attending these programs have access to excellent educational resources, making the area ideal for families. Several private and charter schools also offer alternative education. Florida Golf Coast University and Southwestern University both offer higher education and advanced degrees for those pursuing higher education in SWFL.